Hatcherscene: The Jahalin: No(w) where? This week, Al Jazeera reported on Israeli plans to relocate West Bank Palestinians, including the Jahalin tribe, to Jericho. According to the article, "the UNRWA Commissioner General Pierre Krahenbuhl said on Sunday that the implementation of such a plan would stoke concerns 'that it amounts to a 'forcible transfer' in contravention of the Fourth Geneva Convention'." 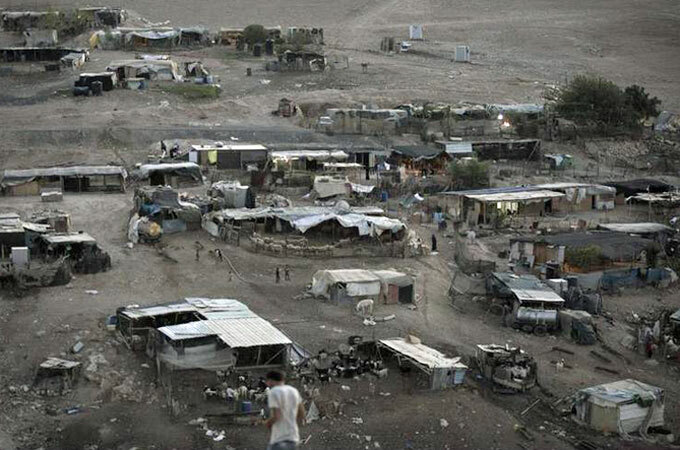 Below is a current photo of the Jahalin refugee camp. It looks the same as that depicted in "Yellow Asphalt" in 2000, and I would guess not much different from the 1950s. For the complete Al Jazeera report, click here. 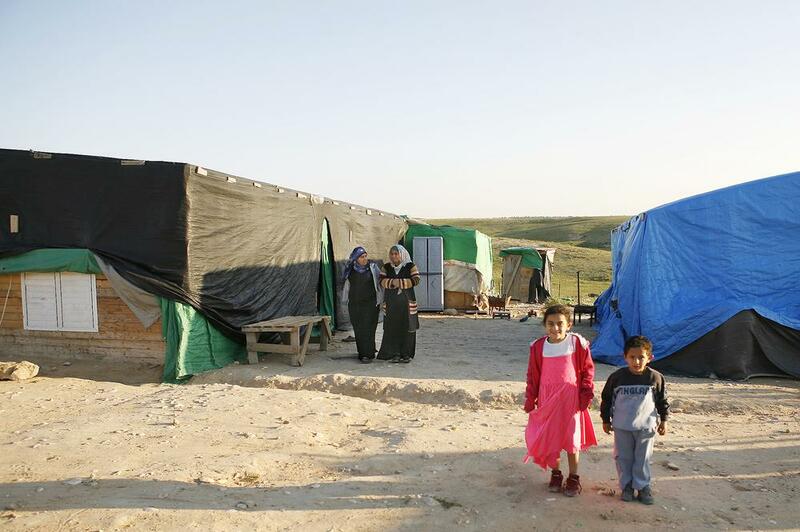 Below, a selection of photos of the demolition of Bedouin by Israeli demolitions as reported last May in Al Jazeera. 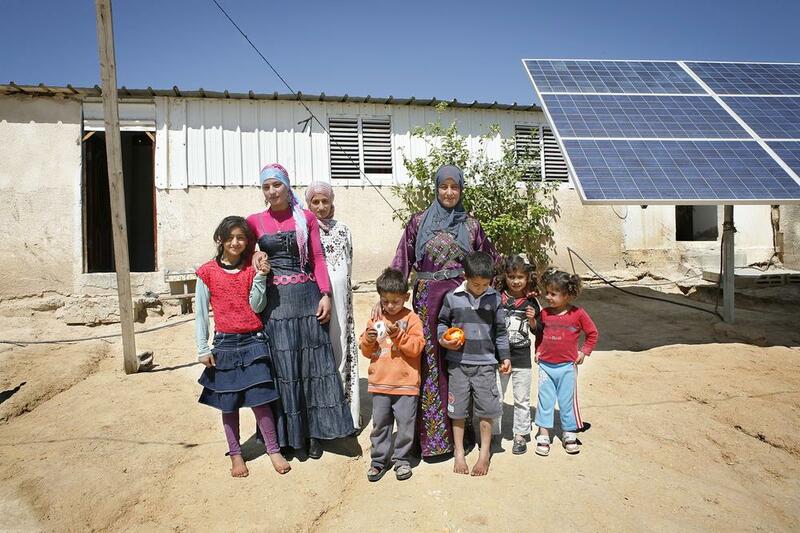 Israel plans to demolish the unrecognised Bedouin village of Atir, and turn the area into a forest. 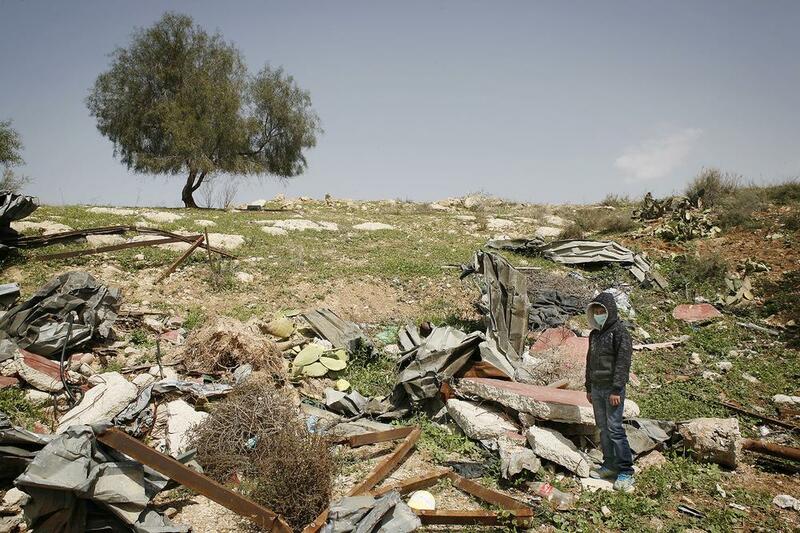 13-year-old Mousa Abu al-Kean's home was demolished in 2013. Naif Agele's brother's house, in the unrecognised section of the Bedouin township of Kuseife, was demolished in March 2014. "It took my brother two months to build this house for his family. The state destroyed it in 10 minutes," Agele said. 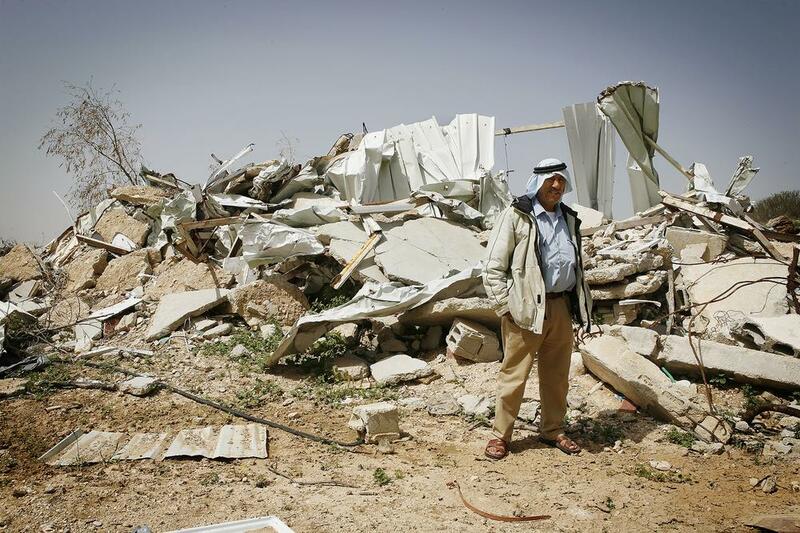 Israeli authorities demolished 74-year-old Khader Abu al-Kean's home in Atir in May 2013. "This part of Atir was home to 10 families. 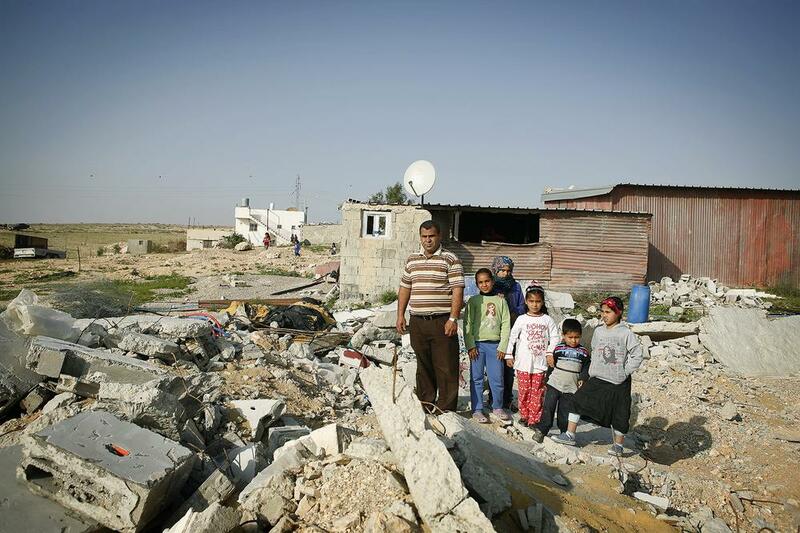 We rebuilt our homes, but for four months the bulldozers kept coming back every other week."